You're all ready to land that great new job, or a slot in a prestigious graduate program. You've got your resumé polished, your new suit pressed, and your game face on. You know how to give a firm handshake and you nailed the interview. Just when you think you've got it all in the bag, the hiring manager (or admissions officer) asks you for at least three professional recommendation letters professional references. So how can you make your references stand out and be memorable? The typical way to think about references is to ask someone “superior” to you in hierarchy, someone that managed you or a professor. It is always recommended that it is someone that worked closely with you so they have something meaningful to say other than a standard letter. 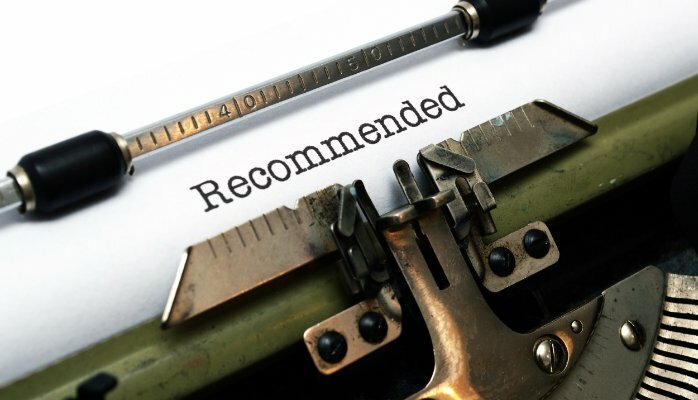 But is there something else we can do to make our references and recommendations stand out for the right reasons—namely, who can help you seal the deal? Don't panic. You probably already know several people who can serve as your professional references—even if you've never held down a "real" job before. Or anyjob, for that matter. But you'll need to choose carefully. Landing your first job or getting into a coveted college or grad-school program is a high-stakes game, so you don't want to blow it by giving bad references. (So if your hard-partying fraternity brother who barely graduated offers to be a reference, you should probably pass. Ditto for the two-faced drama queen who gossiped about you behind your back at your last summer job—her motives are probably not honorable.) When seeking references, people always ask someone professionally “superior” to them—i.e., someone that managed you at a job. It could be your boss at a summer job—the director of the summer camp where you served as youth counselor, for example. Or the owner of the restaurant where you waited tables for three summers, or perhaps the residence-hall director where you worked part-time at the front desk. If you didn't have a part-time job while you were in school, a trusted professor could also serve as a professional reference. (Going to college full-time is a career of sorts, too—and professors take on the role of your boss at that gig). This is what people usually do, but how can we make our references truly serve as a differentiator for us? Whomever you choose, your references should always be someone that worked closely with you, so they have something meaningful to say about your personality, work ethic, skills, and talents. Try to find people whom you really "wowed" with your skills and abilities and who will talk enthusiastically—and sincerely— about how great you are, whether it's a former boss you helped get out of a jam by working extra hours, or an instructor you impressed with your quick thinking when she put you on the spot in class. References: The Next Phase The above advice is great for people just entering the professional workforce or higher-level academia for the first time. If you're a little further on in your career, though, it can sometimes be harder to get professional references than it was before. You might have lost touch with your professors or college-job bosses, for one thing. Meanwhile, your current boss probably doesn't want you to quit, let alone give you a glowing reference for your next job! It's why many young professionals find themselves caught between a rock and a hard place that prevents them from moving ahead in their careers. If you find yourself in this all-too-common predicament, don't freak out. If you've just spent two years at your first entry-level job after college and you're in search of a stepping stone to the next big thing, consider obtaining a counterpart reference instead of going to your current boss or immediate co-workers. What's a counterpart reference? Basically, it's finding someone at another organization - likely someone you do business with on a regular basis. Whatever your current job, chances are good you've built some relationships with professionals at other client companies with which your employer does business. (Or if you work for a very large company, government agency, or nonprofit, you probably work with people in other departments or divisions.) These are people who have come to know you, your work style, your reliability, and your professionalism. Even though these colleagues are not necessarily your "superiors," as professional colleagues they are often your best source for references as you move along your career path—and since they aren't your direct boss or co-workers, they likely won't have a personal agenda against you moving up the career ladder! (Your counterpart colleagues are often the most supportive of seeing people they like working with get ahead, because it often benefits them as much as it does you.) How to Get a Counterpart Reference Here's an example from my own career. When I was applying to get into business school, I was working for Deloitte as a management consultant. In addition to getting the typical recommendation letters from my managers and professors (all of whom I had good relationships with), I also got recommendation letters from some of my client counterparts I'd worked with during my time at Deloitte. It was easy for me to ask these people directly for references because I believed that if someone I worked closely with was happy with the consulting work I'd provided them as a change agent and value-enhancer, they would also be happy to write a professional recommendation letter for me. Not only was I right in that assumption, the recommendation letters I received from my client counterparts were head and shoulders above the other ones I received when it came to enthusiasm, details and quality. Long story short, when you make a positive, measurable, "dollars-and-sense" impact on the professional work of your clients, they will be more than willing to return the favor. You can also apply this same strategy when requesting LinkedIn recommendations for display on your profile. The more recommendations you have, the more your profile will stand out—and with many of today's job recruiters doing "stealth" searches for their next hire on LinkedIn, you'll want yours to look as attractive as possible. Wherever you are in your career, always be on the lookout for your next professional reference. The more value you bring to the table in your career, the easier they will be for you to obtain. The most in-demand professionals are the ones that people at all levels enjoy working with.